1. When I face puzzling behaviors, I promise not to react immediately but Step Back, take my time calmly, and survey the situation. 2. I will become a "Meaning-Maker" which means I will take my time to understand the meaning behind a misbehavior. Only then will I know what to do. 4. I promise to Self-Reflect. I will think about how I feel when my child behaves in an unexpected manner. 5. I promise to take time to see my feelings may be not only a reaction to the present behavior, but a trigger to something that happned to me in the past that's making me overreact. 6. I will stay non-judgmental and empathic. 7. I will ask myself, "Why?" is my child behaving this way before I react. 8. I will think of my misbehaving child as "distressed" not "bad" and try to understand what she is distressed about. 9. I will try and understand my child's mind--what he is thinking--how he is thinking. 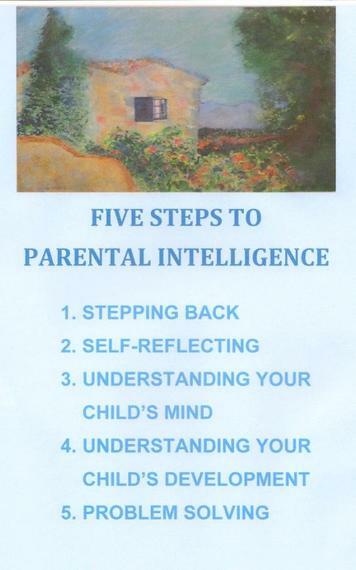 This is the crux of Parental Intelligence. 10. I will try and understand my child's stage of development and make my expectations for her accordingly. 11. I will give my child the respect I want him to give me. This means after I listen, I will show my child I heard him by paraphrasing what he said and letting him elaborate. 12. I will try and solve problems with my child now that I know what conflicts lie behind the behavior that puzzled me. 13. I will work on strengthening my relationship with my child by listening to his opinions, thoughts, feelings, ideas, hopes and dreams. Then I will share my thoughts as well and we will discuss things and talk things over finding solutions that meet both our needs. 14. I know I will falter just as my child does, but our relationship will stand strong as we continue to learn to trust each other. Laurie Hollman, Ph.D. is a psychoanalyst and author of Unlocking Parental Intelligence: Finding Meaning in Your Child's Behavior, found on Amazon, Barnes & Noble and wherever books are sold. 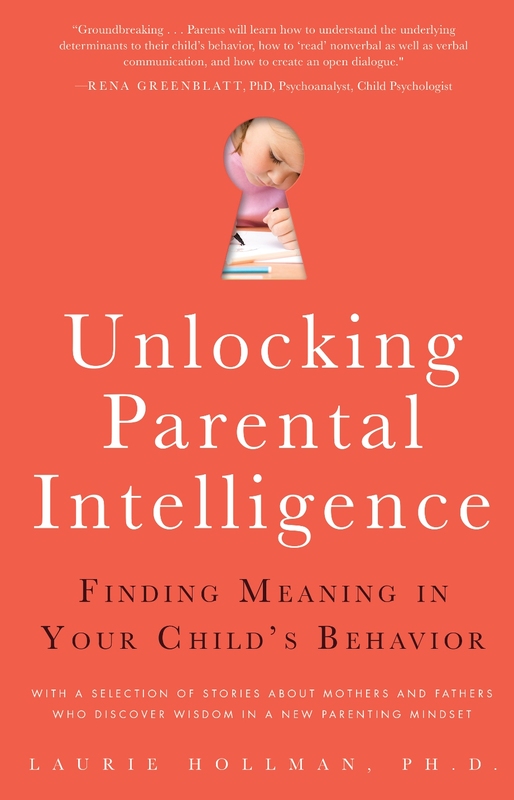 Go to her website to learn more about Parental Intelligence.